In an age of skepticism and disenchantment, people long for something that satisfies our mind’s search for truth and our heart’s desire for beauty and meaning. 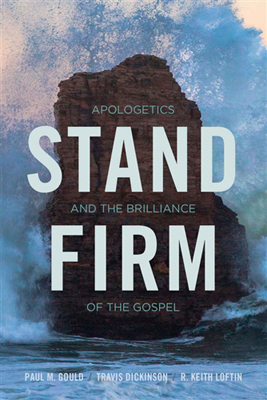 Stand Firm: Apologetics and the Brilliance of the Gospel argues that the gospel satisfies both of these needs. It is true and rational, but it is also inherently attractive and provides meaning and purpose. In short, the gospel is brilliant. It is brilliant, in one sense, because of the broad variety of evidences for its truth. But it is also brilliant given its beauty, goodness and the meaningful life it offers. The book provides up to date responses to questions about the existence of God, the reliability of the Bible, Jesus and the resurrection, and the problem of evil. It also treats unique topics such as understanding truth, knowledge and faith, the claims of alternate faiths, religious disagreement, etc. Each chapter attempts to connect these considerations with the gospel so that we may stand firm in our faith.